If you are a fan of Netflix or enjoy a night out at the movies, you’ve probably noticed that dentists aren’t often portrayed kindly in popular media. The movie industry still clings to the cliché of dentists as villains – just look at Horrible Bosses, where Jennifer Aniston plays a crazed dental practitioner who gleefully tortures her patients and staff, or horror films like The Dentist or its sequel. These portrayals are unfortunate because most dentists, and their team members, are actually quite amiable and likeable. Personally I can say that at the dental clinic where I receive care they routinely share little anecdotes and we have some good laughs. Any dental practice in the know recognizes the importance of patient perception and will address and even reverse the all-too-popular assumption that the dentist’s office is a place to fear. If you run a dental practice and you want to ensure that your patients not only return for future work, but also return for regular preventative care – and not just to deal with a crisis – you need to address these concerns. Effective communication is essential for creating positive perceptions, and improving communication is easy – if you know what people want. Most patients appreciate a health care professional that speaks to them, not at them. By reducing your reliance on technical jargon and by presenting information clearly, you can significantly improve your patients’ overall experience. After all, the more aware they are of your administrative and clinical processes, the more comfortable they’ll be. You can also work on improving the non-verbal communication skills of your dentists and support staff to increase patient retention. It’s a dentist’s office after all, so make sure everyone’s smiling! 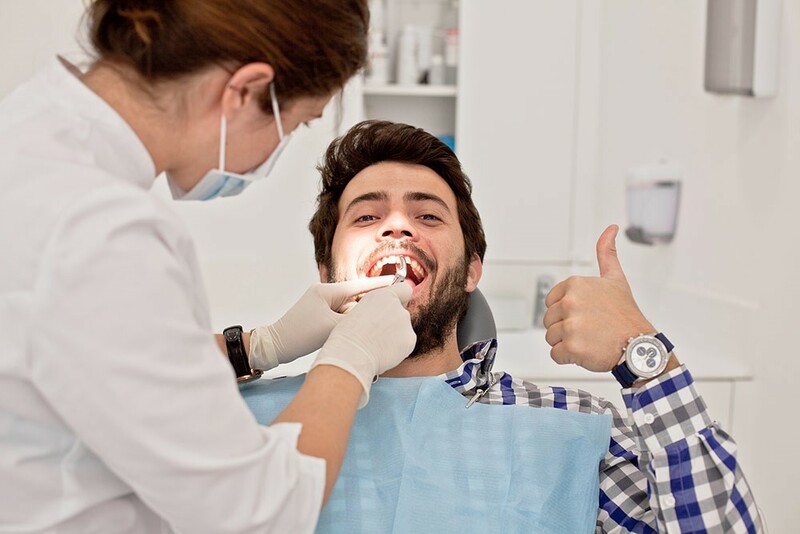 Many patients reporting negative reactions to their dental experience say the care was satisfactory but are unhappy with the cost. This is especially true in countries like Canada where many other forms of healthcare are fully or partially funded publicly. One way to help patients understand the cost-to-benefit ratio of dental work is to explain the treatment process, the breakdown of the individual services you are providing, and the consequences of not proceeding with the required treatment. For Millennials, who tend to be more budget savvy, spend time educating them during their decision-making process to help them understand the reasoning behind your recommendations. Fear of the dentist has been reported as the second most common phobia – second only to public speaking – and every dental patient experiences some degree of anxiety. To help alleviate this anxiety, remember that comfort is key. Go the extra mile to establish an open and caring relationship with patients, especially those under the age of 12. Coloured glasses can help reduce the glare of the bright lights above the dental chair and can add a bit of fun to the experience, while having TVs spread about the office can give both kids and adults a happy distraction. Patients are already anxious enough about going to the dentist, and they don’t want their appointments continually cancelled or postponed. Running a dental clinic should never be viewed as chaotic, and ABELDent’s automated patient communication and other dental scheduling software can help keep you organized – which will help reduce patient anxiety, and keep them coming back for future care. Don’t let the Hollywood media define you! Address these common patient concerns and watch your practice grow and patient satisfaction increase! We often hear that there is no such thing as “bad” press. The fact that someone is talking about you at all is considered a good thing, right? It can place you in the spotlight for a fleeting moment and give you the opportunity to right a wrong. Misfortune may befall, and mistakes will be made. The fallout is usually brief; it’s how you deal with it can help you win friends and influence others. There have always been forums for patients to voice complaints and, of course, regulatory bodies for serious claims. But in today’s culture of sharing the most mundane of activities and trivial opinions on social media, the exposure is magnified. People are increasingly post-happy, looking to provoke controversy in search of their 15 minutes of fame. Within this climate, it is only prudent to develop a plan for damage control. Like back-up and recovery of your data in the event of cybercrime or catastrophe, reputation management requires an ounce of prevention. Essentially, it’s the patient experience itself that becomes your best risk mitigator. One of the wisest things you and your team can do is ask for patient feedback after each appointment. Did we meet your expectations? Is there anything we could improve to make you more satisfied? Especially if your team has tracked the patient’s appointment in your practice management software and has used the information in real time to smooth out any glitches, feedback is valuable. Post-appointment surveys can be even more effective; they open lines of communication and keep you top-of-mind. They provide an equal opportunity for positive feedback which can be used (with permission) as a testimonial. A survey also opens the door to ask for referrals. The important thing is to ask for feedback and make it easy for your patients to give it. In the case of a clinical error or unfortunate outcome, you would likely be immediately aware of the situation and able to work with your patient towards resolution. In the case of dissatisfaction with service or other issues, however, you may never have the opportunity for direct communication. And either case could go viral before you even break for lunch. For a business, receiving a complaint – or worse, reading about one directed at your practice – can be shocking. The natural first reaction is emotional: we get angry, insulted, defensive. Some respond by immediately firing back an angry tweet. Give it time. In 24 hours, emotions will fade, and you can focus on facts. Make sure that your staff is aware of this advice. Assemble your facts. If warranted, involve relevant staff. Use your practice management software history for details. Make the exercise about fact-finding, not blame-seeking. There is usually no need to apologize. “We are sorry you feel that way.” is a good way to validate feelings without accepting fault. Depending on the patient and the complaint, you might consider inviting the person to contact you directly to offer their perspective for improvement. Again, depending on the patient and the complaint, a personal phone call might be warranted, instead of or in addition to the above. Finally, there are situations where you are best advised to simply defer to your lawyer. It seems unjust that one negative incident can outweigh the scores of positive interactions and examples of exceptional service you provide on a daily basis. Alas, the rule of asymmetrical rewards can apply in dentistry as much as in any customer-facing company. It is healthy to acknowledge your feelings. Criticism stings. Any Psychologist – and any mother – will assure you that “Nobody’s perfect” and “You can’t please everybody all of the time”. In fact, the principle of the pratfall effect validates the idea that infallibility is endearing. Flaws can make an individual more likable and less intimidating. You – and your practice – have supporters. In the event of bad press, you may discover loyal patients inspired to voluntarily rally to your defence. I described in a recent post some of the steps you can take to improve your Facebook and social media presence… asking for testimonials is one of them. Let the occasional negative item get lost in a sea of praise. And the more digital presence you create, the more search engine prominence gets placed on space you control. Remember the power of the self-fulfilling prophecy, also known as the Pygmalion effect. It’s helpful to keep this principle in mind so that you – and your staff – do not allow a minor complaint to build out of proportion. Finally, count on the spotlight effect. Although an overblown bad review about a trivial matter can still seem earth shattering, the fact is that in most cases, an isolated bit of bad press is not noticed as much as we think. I am not a Psychologist, but I am a mother, and I learned from the best. I also found inspiration and data for this post in an article by Rebekah Bernard in Medical Economics, and another by Kevan Lee, Director of Marketing at Buffer. When it comes to the power of positive thinking, I’ll take the half-full glass every time. Cheers!